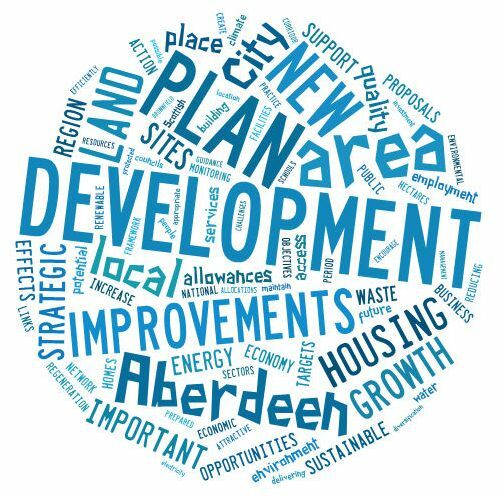 There is just one week left to submit representations to the Proposed Aberdeen City and Shire Strategic Development Plan (SDP) and associated documents. The plan was published on 22 February 2013 and all representations must be received by 5pm on Friday 12 April 2013. A number of responses have already been received. These have almost all been submitted by email on the interactive PDF form which will significantly ease the management of the responses. After the closing date the Strategic Development Planning Authority (SDPA) will respond to all issues raised in representations before submitting these with the plan to Scottish Ministers for examination. The current timetable is for responses to be agreed by the SDPA at its meeting of 19 June 2013, with submission to Scottish Ministers before the end of June. The new Development Plan Scheme, published last month, expects the examination process to take until the end of the year, with approval of the plan by Scottish Ministers in early 2014. This is 3-6 months earlier than previously anticipated, due largely to the speed of examinations on the SDPs that have already been through this process.